On paper, this looked like it could be an interesting matchup — compatriots and childhood friends who know each other about as well as anyone on the Tour not named Williams. A win here over Angelique Kerber, the best player in the world over the past year, would bolster the comeback of Andrea Petkovic — easily one of the most interesting characters on the WTA tour. Intriguingly, while Kerber dominated earlier in their careers, Petkovic turned the tables and won three of their last four meetings, though, before today’s match they’d only played once since 2011. But Kerber started this match with a break, and really never looked back. Playing a quality opponent, she simply did not let this match get close. That isn’t to say that Kerber played a perfect match — there were some suspect serves and errant shots, but Kerber won with the same tenacity that brought her to the number one ranking last year. With a combination of hard hitting ground strokes and impeccable retrieval skills, Kerber simply stymied any effort by Petkovic to gather momentum. Even in the second set, where Petkovic had 0-40 on Kerber’s serve for the chance to pull even at 2-2, Kerber simply hit her way out of trouble. Not helping matters was a particularly error-strewn match from Petkovic. Even where she had opportunities to hit winners, shots often went long or into the net. 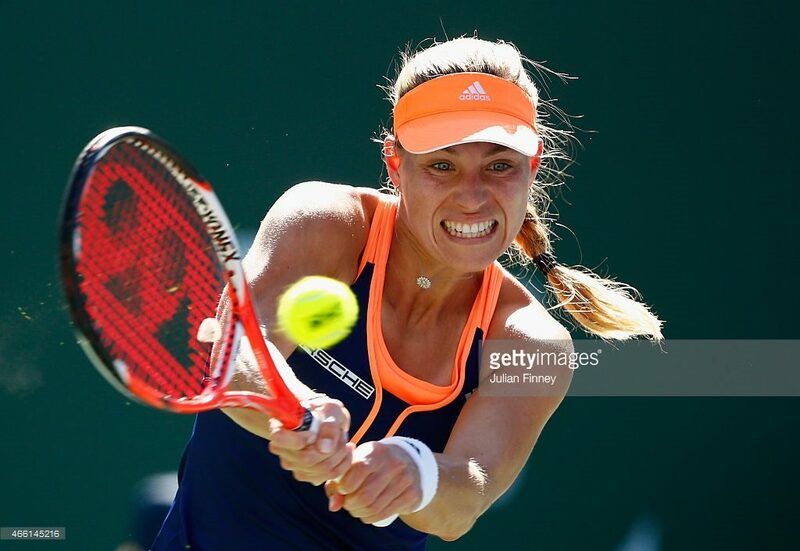 But, Kerber certainly had a lot to do with that — in this latest iteration of her career, she has the uncanny ability neutralize her opponents’ advantages, either to draw errors, or to create opportunities to hit winners of her own. Petkovic for her part, aside from a racquet swipe early in the second set, held her frustration well. While she continued to try to make inroads against Kerber, Petkovic simply didn’t have enough game today to disturb Kerber’s momentum. With today’s win, Kerber once again will be number one — and, from the looks of it, likely to stay there for a while. This is an excellent analysis, lots of insight. Hasn’t come together yet for Angie. She’s not enjoying her time out there one bit. Yes – it’s good piece of writing but I think it was too early in the tournament to make such an optimistic judgement about Kerber when you consider her record this year (and maybe the end of 2016). And so things turned out.